I love teaching titles. As you post, this brings up pronunciation and lots more. In my case, it usually leads to greetings- and with French speakers, 'addressing' is very important. For example the use of Mr. and Sir, is often confused. For example, it is common for many of my students to want to say: Please follow me, Mr. - Instead of: Please follow me, Sir. Teaching titles opens up many opportunities for teaching functional language, pronunciation and more. Thanks for this interesting post. I'm growing a bit weary of these vague posts...whom are they supposed to help? Had you broken down the historical reasons for the titles, or how you went about teaching the s/z distinction, it would've been much more helpful. Thank you "Anonymous" for your post. If you really want additional information about teaching ESL, please note the short paragraph in the right side of every page. 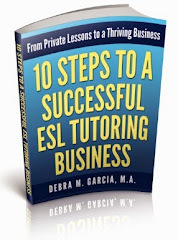 It says, "Most of the articles in this ESL blog are fairly short. 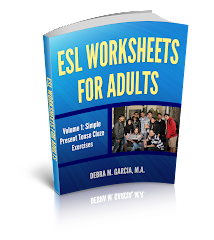 If you'd like to get more grammar points, ESL lesson plans, and other information related to teaching ESL, you can check out my website at Teaching ESL to Adults." For more information about s/z, you can take a look at http://www.teaching-esl-to-adults.com/voiced-and-unvoiced-sounds.html. This is one of the many pages on my Teaching ESL to Adults website. I am looking for strategies to teach human rights to ESL students. Any thoughts or places I can look to find info?